You are here: Home / Build a Career / Are you really managing information overload? 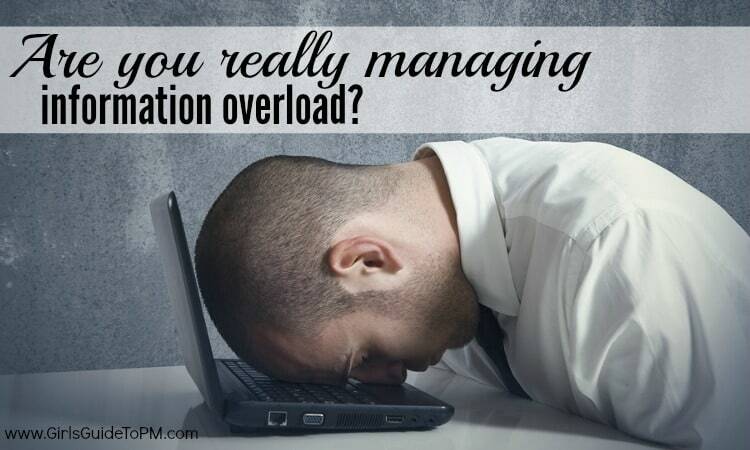 Are you really managing information overload? 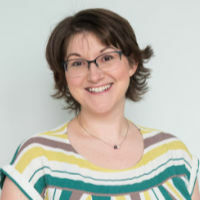 At the social media webinar I gave for the PMI LEAD Community of Practice one of the main themes coming out of the comments and questions from participants was how to deal with the extra information channels that social media tools offer. People generally seem quite worried about how to handle information overload, to the point that it creates a panic or stress and they stop using tools that could actually be quite helpful if they were only used in the right way. 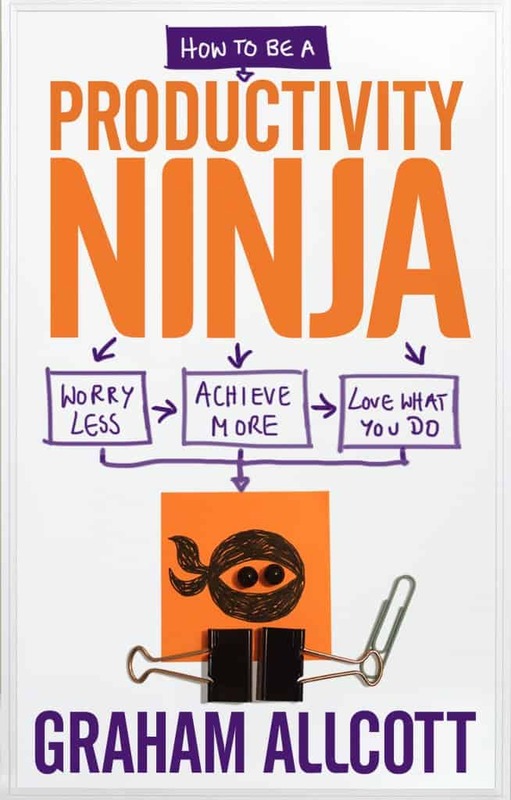 Graham Allcott talks about this in his book, How To Be A Productivity Ninja. 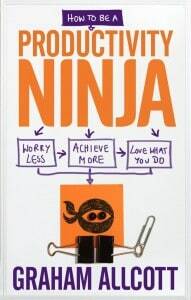 It’s a time-management-y book but it’s really about how to get organised and stay organised. 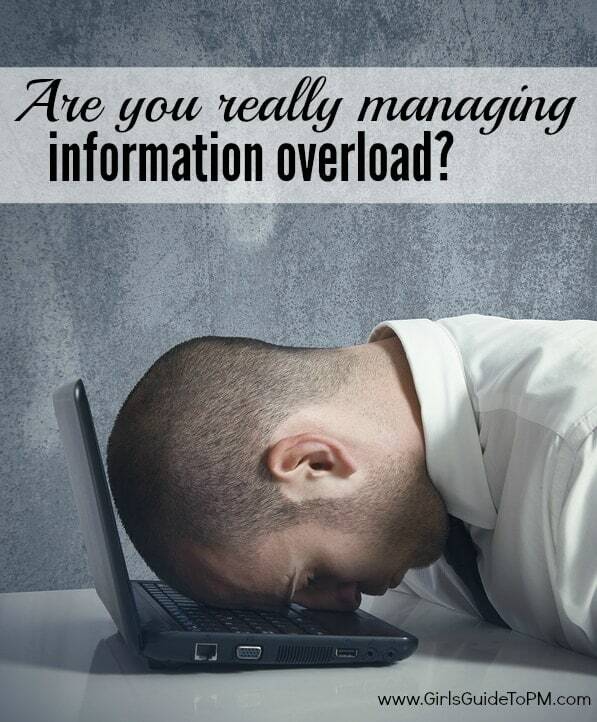 He says that information overload isn’t about having too much information at all. Instead, it’s a symptom of other sorts of stress. He suggests that when we talk about feeling as if we are overloaded with information, what we really mean is that we can’t control it. And as project managers, controlling stuff is what we do! So it’s natural to feel as if we are losing control when there are lots more information sources and lots more ways for people to interact with each other rather than going through us. However, this isn’t information overload, it’s an internal struggle with being out of control. Allcott also says that people talk about information overload when really what they mean is ‘I don’t understand the new technology and I’m going to look stupid if I admit that.’ Social media-style and collaboration tools are new for many people, and there is a learning curve to picking up using any new software product. But this isn’t information overload, it’s worrying about looking foolish. When it feels as if everyone else knows what they are doing and you are just treading water to get by, and you are waiting for everyone to realise that you have no idea how to manage projects after all, that’s Imposter Syndrome. (You can read more about Imposter Syndrome and my ebook on the subject here.) It can manifest itself as information overload, because everyone else seems to be handling all the extra data wonderfully and you are struggling. That isn’t information overload, it’s the belief that everyone else has cracked it. Allcott talks about the fact that lots of ways for data to arrive means that much of the data is likely to be vague or ambiguous. There is also ambiguity in the way in which we should deal with it. Is it an action for us? For someone else? If it’s a broadcast message how do we find out who is actually picking it up and doing that project task? But that isn’t information overload, it’s worrying about how to deal with uncertainty. Things happen quickly on many projects, and there are often change requests that get processed at short notice. These could arrive via one of many channels. There are also often conflicting priorities, and lots of stakeholders who all have their own views. Given that they now have more channels than ever to complain to you about the project, the team or why their favourite change got rejected, it can certainly feel as if you are being overloaded with communication. However, that isn’t information overload, it’s dealing with conflict. Allcott recommends that you put systems in place to deal with all of this. Use a good project management change process. Sort out conflicts before they escalate. Deal with feeling out of control by putting in place To Do lists or other systems that help you manage effectively. Read my ebook about Imposter Syndrome (OK, he doesn’t recommend that one – that’s me!). The more you can systemise, the easier it will be to deal with all the information channels. With that in mind, what are you going to do to filter out the useless stuff, systemise the useful stuff and get yourself back in control of your project information channels? Fascinating approach, looking for other explanations. Of course there’s still the basic fact that a manager receiving 200 incoming work-related emails a day will be overloaded just sorting them out, which is why after you do all these changes you still need to address the remaining load. I’ve recently published an encyclopedic catalog listing some 160 solutions to email overload, which you can check out at http://www.nathanzeldes.com/guide/ . The breadth and diversity of the approaches taken to this problem turned out quite impressive… a lot of ingenuity is going into this field. Thanks for pointing this resource out, Nathan. I read the sampler and I particularly like the 5 week folder suggestion: something that automatically deletes emails after 5 weeks, which is a good time period to decide if you really do need to keep it or not.